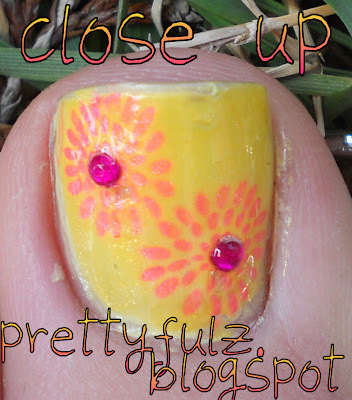 I wanted to do more of a spring pedicure, but the colors and design I think are better for summer. I loved the sunburst/flower image and wanted to use it for a while, it also has a perfect spot in the middle for a rhinestone, so I just couldn't resist. Pink Stamping Color: Konad Special Polish "Psyche Pink"
how can i join..so that you can see my nail art designs?